Welcome to Seeclear Window Cleanings Website. We are based in Llandyrnog in Denbighshire, North Wales and are a friendly and professionally run business, with over 10 years experience. Our aim is to provide a quality service at a very high standard to our clients at competitive rates. We have a wide range of clientele and understand that each have different needs. We are trustworthy with over 800 clients, our client base consists of, Homes, Schools, Nursing Homes, Pubs and Restaurants, Offices and Factories. 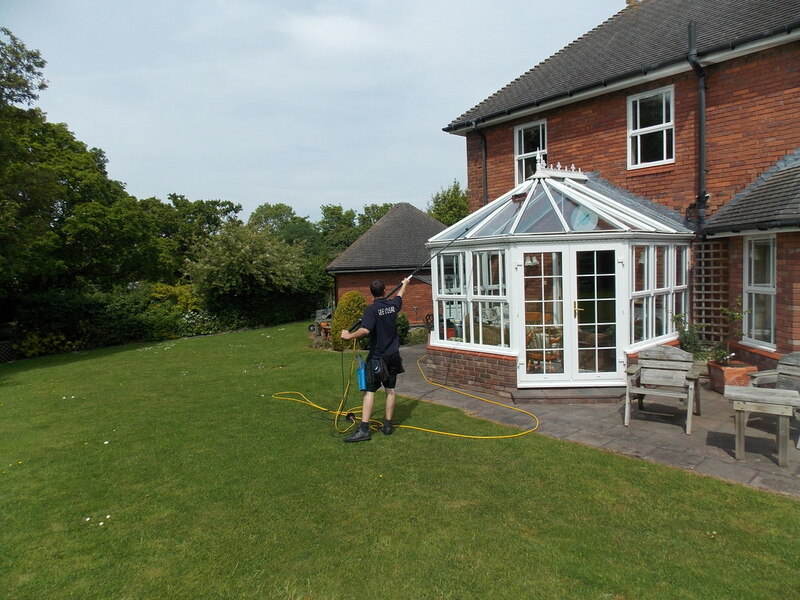 We work all year round so there is never a break in our service. Our staff are always dressed in uniform and respect every property and everyones privacy. We are Flintshire and Denbighshire authority approved and can provide references and proof of insurance on request. We hope you will find all the appropriate information you are looking for to make an informed decision about using our company's services. All work is carried out to the highest standard and we are confident you will be happy with our services. All of our employees are experienced and always wear a uniform with the company logo. We are fully trained and insured with a public liability of £10 million. We pride ourselves in our work and our friendly manner. We are reliable and have very competitive prices. References can be provided on request. As we are committed to being the best at what we do at all times, we have built up a very good reputation.